Cloning DNA fragments using restriction enzymes is like flying from Seattle to New York via Phoenix. Key to Invitrogen's Gateway technology is the "entry clone," which contains a fragment of interest in a recombinase-ready plasmid. Researchers can quickly and efficiently move between expression systems without subcloning by swapping the insert from vector to vector. Cloning DNA fragments using restriction enzymes is like flying from Seattle to New York via Phoenix. You arrive at your destination, but it takes longer than necessary to get there. Restriction sites, like airline hubs, aren't always where you need them, and sometimes they aren't there at all. 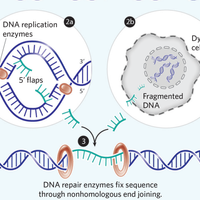 Recombinase-based methods allow scientists to move pieces of DNA from plasmid to plasmid without restriction enzymes, simplifying and expediting the cloning process. It also prevents the aggravation that comes from realizing your insert contains inconveniently placed restriction sites, or just as bad, none at all. Such systems are useful for shuttling inserts from vector to vector – for instance, to tag a protein at both the N-and C-termini, to make both fluorescent and nonfluorescent versions of a protein, or to build constructs for expression in a variety of systems. Several methods are detailed in the literature, but only three have been commercialized: Cre/lox, Flp/frt, and lambda recombinase. The Gateway technology, from Carlsbad, Calif.-based Invitrogen, uses a lambda recombinase called Clonase to catalyze in vitro recombination events between sequences flanked by 25-bp att sites. Oftentimes, those sequences are present on two separate plasmids, as when moving an insert from a starting ("entry") construct to a "destination" vector. But Invitrogen also has systems for cloning PCR fragments directly into Gateway plasmids using Clonase (that is, without restriction enzymes and ligase). Using the CloneMiner cDNA library construction kit ($1,221 for five construction reactions), users can clone entire cDNA libraries directly in Gateway-compatible entry plasmids. The company offers dozens of destination vectors, for use in applications from RNA interference, to fluorescence tag-insect, and yeast hosts. "Gateway is very versatile," says Pieter de Jong, principal investigator at BACPAC Resources, Children's Hospital and Research Center at Oakland, in California. That versatility has made Gateway a tool for high-throughput research. The Caenorhabditis elegans ORFeome project distributes its 10,000 or so clones in Gateway-ready constructs. And the cDNA cloning team at the Center for Eukaryotic Structural Genomics (CESG) at the University of Wisconsin, Madison, used Gateway to produce between 4,000 and 5,000 swappable expression constructs during phase 1 of its work for the National Institutes of Health-funded Protein Structure Initiative. 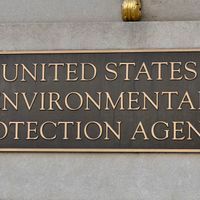 But according to CESG staff scientist Russell Wrobel, the team plans to revert to a restriction enzyme-based system from Promega, in Madison, Wis., because Gateway is too expensive. (According to the Invitrogen Web site, the system components cost $120 for Gateway BP Clonase II (20 rxns) and $128 per entry vector; destination vectors start at $128.) "Cost aside, I was really happy with it. It is a very robust system; it's very easy to use," Wrobel says. Charles Buck, director of operations, Bindley Bioscience Center, Discovery Park at Purdue University, had a different experience. Buck used Gateway in 2002. He says the system has improved but still requires "troubleshooting." According to Buck, "Many modified inserts did not incorporate into the clone and the exchange did not work reliably." He adds, however, that the system has worked well for other groups. "It is straightforward in terms of protocol and is as easy as pie to use." Invitrogen Gateway cloning specialist, Markus Zeller, cites significant improvements in the system. "Open architecture and licensing have made it easier to share vectors with colleagues in academic and government labs, and the system is continuously being updated with more expression vectors." Gateway technical notes list more than 20 destination vectors. "Gateway kits are compatible with the other kits sold by Invitrogen," Zeller adds, so cloning kits and expression kits work together seamlessly. Cre (derived from bacteriophage P1) catalyzes the recombination of DNA between 34 base-pair long loxP sites. The basic univector approach fuses two plasmids, each containing a single loxP site, to produce a single, fusion construct. Elledge used this approach to place a glutathione-S-transferase tag upstream of the gene encoding Skp1. The Arabidopsis 2010 Project, a functional genomics initiative, uses univector in its workflows, and Invitrogen has commercialized the system in its Echo product line (which starts at $183). Stratagene's Exchanger system uses a recombinase to swap antibiotic resistance cassettes into a core vector. Mountain View, Calif.-based Clontech's Creator system takes a slightly different approach. 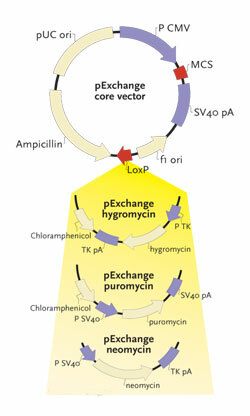 Using donor plasmids in which the sequence of interest is flanked by loxP sequences (or "floxed"), and an acceptor plasmid containing one loxP site, Creator transfers the floxed sequence from one plasmid to another. (The Creator pDNR cloning kit costs $350). Open Biosystems of Huntsville, Ala., offers more than 1,100 human ORF clones in Creator vectors. Stratagene of La Jolla, Calif., takes the novel approach with their Exchanger System of allowing users to integrate one of three selection markers (encoding hygromycin, puromycin, and neomycin resistance) into a "core" vector using Cre. The benefit, says Lisa Stillwell, Stratagene's product manager for protein expression systems, is that users can work with different drug-resistance markers without recloning, "and you don't have to have loxP put on the gene of interest before you clone." The kit costs $544. The other commercialized recombinase system is based on the enzyme Flp. Flp (from the yeast 2-micron plasmid) catalyzes recombination between frt sites, and Invitrogen offers its Flp-in system for recombinase cloning in mammalian cells. The system uses cell lines that contain a single frt site inserted into a highly transcribed chromosomal location. All recombination events with transfected plasmids will, therefore, produce insertion events in the same location., resulting in isogenic cell lines. The downside, says Zeller, is that "You need to make the cells you're transfecting Flp-in ready." Invitrogen sells a number of Flp-in ready cell lines, including 293, 3T3, and Jurkat. The system includes the pFRT/lacZeo target site vector, a Flp recombinase expression construct, and the Flp-in expression vector pcDNA5/FRT. The core kit is priced at $595. The future of recombinase-based cloning systems is busy, but most commercial vendors are keeping their developments under wraps. Some academic researchers are shopping their own cloning methods around, hoping for a buyer. Michele Calos, associate professor of genetics at Stanford University School of Medicine, is preparing to commercialize her PhiC31 integrase system as a tool for gene therapy. Her lab has shown that injections of integrase cDNA, and a plasmid carrying the attB site, and the gene for human blood clotting factor IX (which is deficient in hemophilia) produced expression levels similar to that of normal individuals.2 Calos says the system could significantly reduce the risk of mutagenesis that is typical of randomly integrated gene therapy vectors. Open Biosystems of Huntsville, Ala., has begun commercializing plasmid libraries based on Elledge's recently published MAGIC cloning system.3 Unlike systems based on Cre and Clonase, MAGIC is based on homologous recombination in Escherichia coli. The advantage, says Elledge, "is that you never have to make DNA; it all happens in vivo." To produce a recombination event, simply mate bacterial strains containing the donor and acceptor plasmids, and induce recombination. Stratagene says it is investigating homologous and PCR-based systems along with a system for dedicated human recombinase sequences. Currently, that system uses very large regions to replace restriction enzymes. "We want to cut back the size of the sites," says Stillwell. Invitrogen is expanding cloning options by transferring many of its genes of interest into "ultimate open reading frame (ORF) vectors," Zeller says. These ultimate ORFs contain the complete DNA sequence of genes involved in given disease pathways, and are sold as Gateway-compatible plasmids. 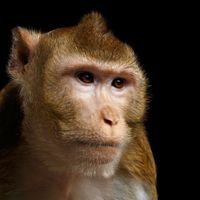 "Being in a Gateway context, it can recombine with a number of vectors," allowing researchers to study the gene in several different expression vectors, he says, such as lentiviral, human, or murine vectors. For many scientists the question isn't whether to use recombinase-based cloning, but whether to use a kit. The cloning techniques are easy enough that some researchers say kits may be unnecessary. 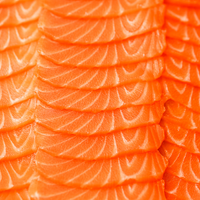 "In our lab, we have more than 25 million clones in 100 freezers. We specialize in large DNA clones and we develop all our own vectors. They're highly specialized," de Jong says. "You can buy some, but their quality is not as good as you can make." Kits are "a trap for novices ... who may follow the recipe without really understanding what they are doing," says Buck. Yet, he continues, "The kits are easy and can be affordable, and often are the only practical entry method for an inexperienced user." Indeed, making a knockout construct for mouse stem cells by standard restriction enzyme cloning methods can take a very long time, de Jong says. "It's very hard to do, so companies offer kits. To make a knockout construct for mouse stem cells by standard methods takes two to three months or longer. Many grad students spend three to five months of their career lives making one construct. For homologous systems, cloning is much quicker – about two weeks." Using recombinase-based cloning kits, researchers can accomplish the same results within a few days. "For most small labs, it's more cost-effective to use commercial kits because they pretest the vectors, which saves work and money," de Jong says. High-throughput labs – like the CESG in Wisconsin – may find it more cost effective to develop their own systems and shortcuts, however.